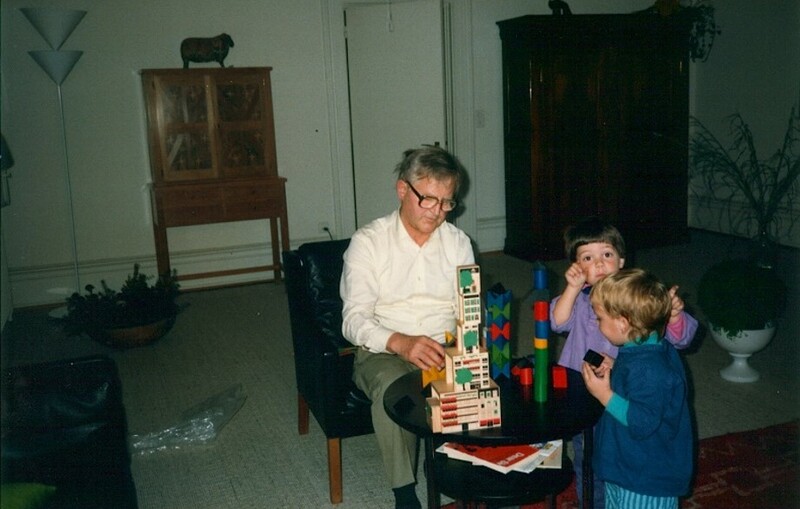 Kurt Naef was not only an inventor, but an adult who never stopped playing. In the picture we can see him in action with the grandchildren from his second wife. Today, Patrick Engeler (centre) is responsible for the marketing at Naef Spiele AG. Both adults and children benefit from playing together. They get to know each other, share joy, excitement and success. Playing together creates closeness and trust. It is not a question of imposing our adult ideas upon the children. Playing as equals, we can enter into a child’s creative world, observing their choices, and helping to solve problems if and when they arise. One thing is for certain: children definitely enjoy the undivided attention of adults. The Naef building games are particularly suitable for cross-generational play because they are interesting and challenging for people of all ages. From simple shapes to complex constructions, the possibilities are endless. Adults often rediscover their long lost love of playing, and children benefit from new ideas and quality time with a loved one. A win for everyone!